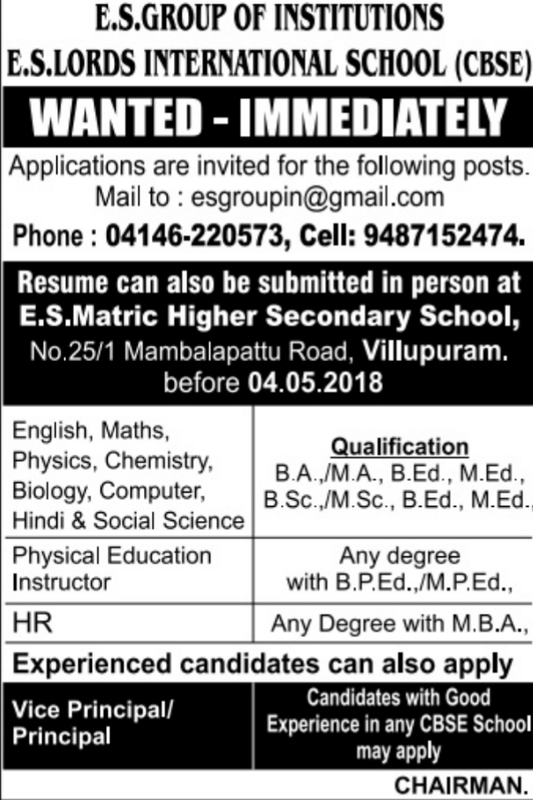 E.S Lords International School, Villupuram has advertised in THE DINAMALAR newspaper for recruitment of PGT/TGT/Vice-Principal/Principal jobs vacancies. Interested and eligible job aspirants are requested to Apply before 4th May 2018.Check out further more details below. 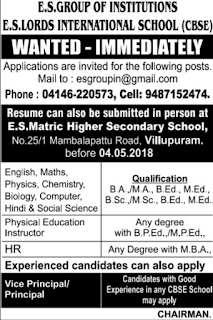 (e) Vice Principal/Principal: Candidates with good experience in any CBSE school may apply. Resume also submitted in person to E S Lords Matric Hr.Sec.School.